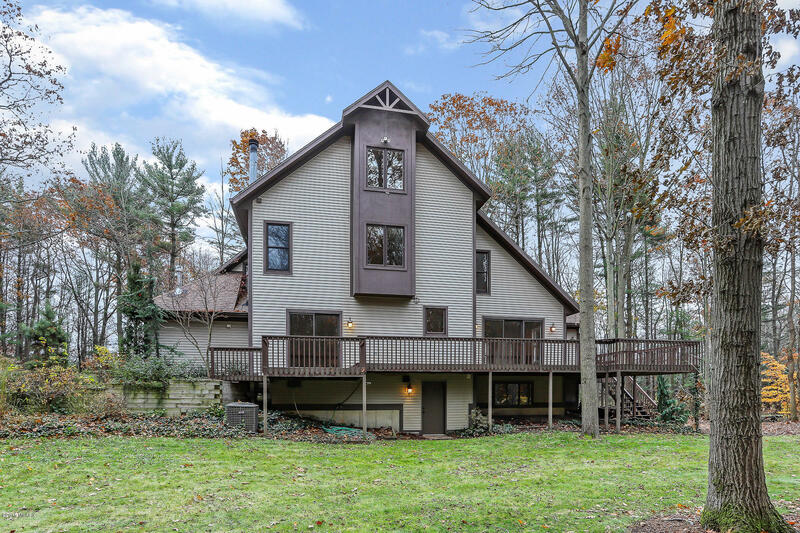 Close to Lake Michigan...On almost 3 Private Wooded Acres you will enjoy this spacious 4 Bedroom, 2 1/2 Bath Custom Designed Home. The stunning Great room showcases cathedral ceilings, hardwood flooring, sliders to the wrap-around deck, and an adjoining beautiful Sunroom. The kitchen hosts granite countertops, tiled backsplash, new stainless-steel appliances, walk in Pantry and wood cabinetry. Main Floor Great Room and Family Room with Fireplace and Built ins. Upper Level features Master Suite, 3additional Bedroom, laundry, and Perfect Loft Studio on the next Level. Walkout basement with plenty of room for game room! Call today for a private tour!